In the Gap (eBook) | Proclaim HOPE! In 1979, my very first book, In the Gap, premiered before 20,000 university students as a “book of the day” at that year’s URBANA 79 (the national, triennial student missions conference sponsored by InterVarsity Christian Fellowship). The book sold out immediately. This was followed over the next 20 years with multiple printings and editions published by InterVarsity Missions and later by Regal Books. The last edition, revised and re-titled Stand in the Gap, was issued in 1997 as a follow-up resource for the million men who spent six hours in prayer for revival on the Mall in Washington, DC, at a gathering called “Stand in the Gap“. The year 2009 marks the 30th anniversary of the original publication. In celebration, In the Gap is offered here in an e-book format as a free download for all friends of PROCLAIM HOPE! What will interest many, in light of my subsequent books (such as Concerts of Prayer, The Hope At Hand, Messengers of Hope and, most recently, Christ Is ALL!) is how the PROCLAIM HOPE! vision for a nationwide Christ-awakening movement has roots reaching back three decades. As you’ll discover, In the Gap sought to explore ways to help God’s people return to a fresh encounter with the supremacy of God’s Son, to awake to all He is and all He is doing now and, therefore, become involved more strategically in the advance of His Kingdom among the nations. 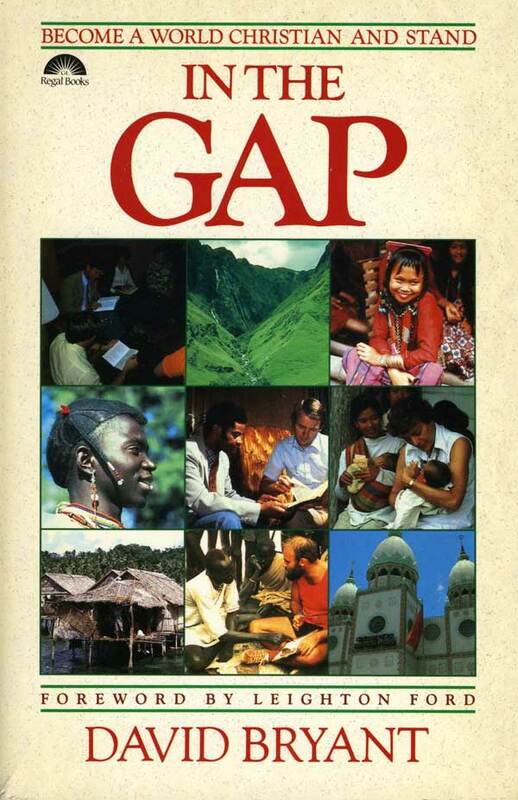 Many have concluded that at least 90% of In the Gap is as relevant to Christians today (and to the global Christian movement) as it was three decades ago. The only parts that will seem somewhat “dated” are found in “The Appendix: Sources and Resources“, listing all kinds of tools and organizations to help World Christians serve Christ’s global cause. Lots can change in thirty years! Therefore, allow me to issue this one disclaimer: Some of the ministries and resources in theAppendix may no longer exist, while others may have modified their names or (in many cases) be located at different addresses or identified with new publishers. Therefore, I recommend you regard the Appendix, first of all, as a testimony to all that God was raising up for Christ’s global cause thirty years ago. It surely holds historical importance. In addition, I suggest you turn to Google to hunt down those resources that interest you, to see how you might get in touch. To start you on this adventure, we’ve provided a few updates at the beginning of Appendix for the e-book edition. Finally, a word of thanks to Christian leaders in South Africa. They approached me earlier this year about making In the Gap available worldwide over the Web. They wanted to make it possible for a new generation of aspiring World Christians to download, print and study together. I’m happy to report already this is happening there. I’m also happy to report IN THE GAP has had lasting impact. Since 1979 innumerable Christ followers have approached me or written to me to share that they are heavily involved in some dimension of world evangelization specifically because of how the Father used In the Gap to turn their lives around. May that same experience be yours as you read this version. May its pages bring you into a whole new engagement with the glory of God’s Son and the grandeur of His global cause.